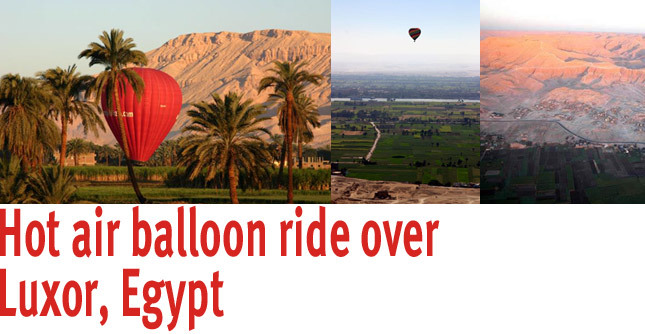 For an unforgettable experience in Luxor, Egypt try a sunrise hot air balloon flight over Luxor’s West Bank. It’s like a history lesson taking place in an open air balloon. After a few minutes, you’ll be 1000 feet (300 metres) in the air watching villages wake up and people taking the animals out to pasture before gently floating over one of the most spectacular views in the world — the Valley of the Kings. You’ll also see ancient Luxor, once called Thebes, in all its glory, plus the world’s longest river, the Nile.